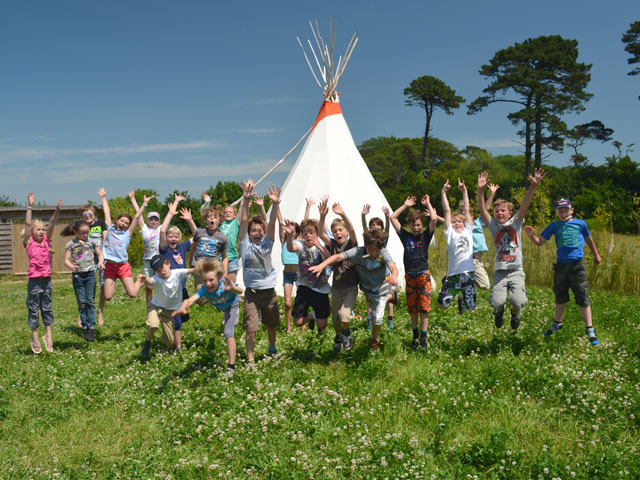 Set in 210 acres near Truro, Camp Kernow is an inspiring, not-for-profit environmental organisation dedicated to “motivating and empowering children and young people to take positive action towards a more sustainable future”. 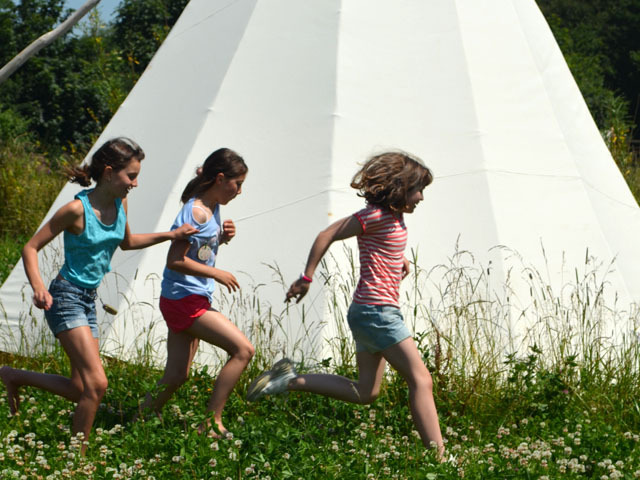 At their eco-friendly HQ, complete with yurts, tipis and a converted boat hull, they offer day visits and residential courses where children can learn about sustainable living and renewable energy in a safe and fun environment. I met Camp Kernow founders Charlie Nicholson and Claire Coombe by the banks of the River Camel during the Rock Oyster Festival. A friend and I were weary from two nights camping in the rain and Claire asked if she could take all our children away to make bread. “Yes!” was our immediate reply. 20 minutes later (during which time we had drunk our coffee in peace and were beginning to feel human again) the five children emerged from the hedge with their handmade dough wrapped around enormous sticks. They wandered down to the campfire and baked their bread over the flames before happily devouring it. This moment stuck in my mind and when Charlie told me of the environmental adventure days he had planned for the summer I booked places for my two daughters and some of their friends. 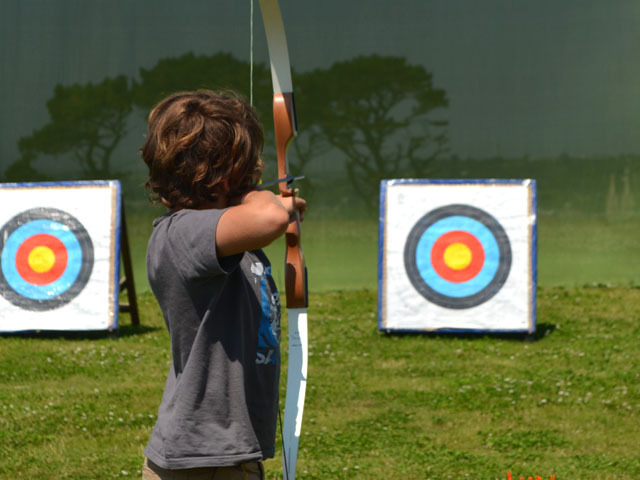 They were promised a range of activities including archery, climbing, shelter-building and campfire cooking; excitement levels were high on the way to Truro that morning for an 8am start. We waved the children off and lost sight of them as they made their way up the hill to Camp Kernow’s Education Centre. Ten hours later they returned rosy cheeked, happily exhausted, speaking at ten to the dozen, tripping over their words, desperate to tell me about every single thing that they’d done. They were fascinated by the off-grid concept, in particular describing the loos in great detail! They’d cooked on a campfire and built fantastic dens. They’d got to the top of “really high” climbing walls. They’d fired a “proper bow and arrows – not plastic ones, they were really really sharp!” at targets. They’d learnt about sustainability. They’d had a wholesome, wonderful day and slept like logs that night. I’m not sure if Charlie and Claire know, but the children have decided that they are going to stay at Camp Kernow for four nights next year. Roll on summer 2014! 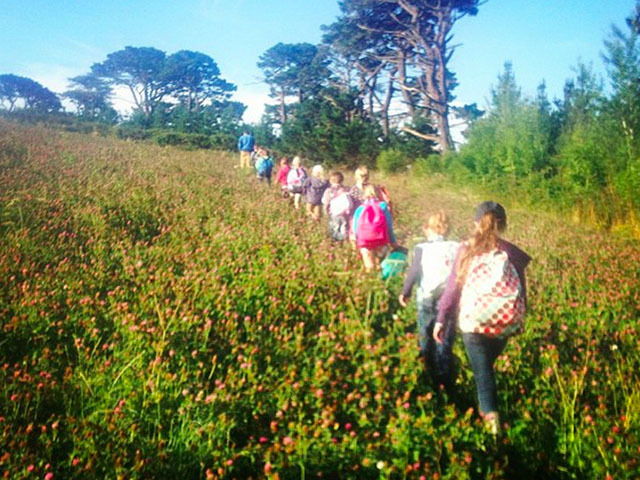 Camp Kernow will be running an environmental activity day during autumn half term. 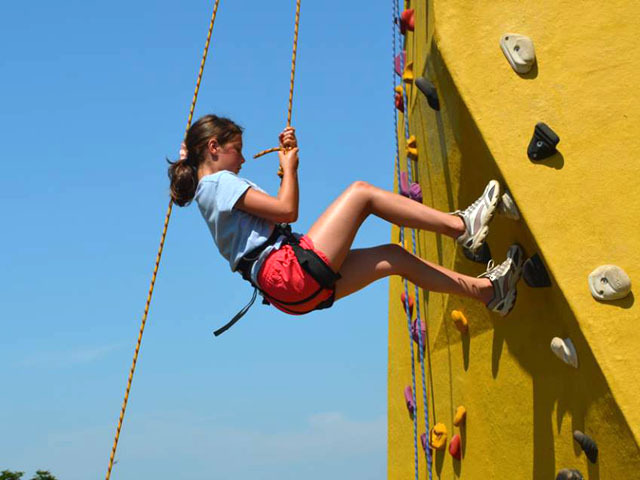 For details of residential courses and day visits please visit Camp Kernow’s website. Do you have any summer job vacancies for Lucy Dawe, a female Truro College SKIT student?